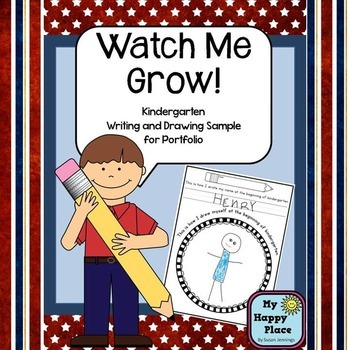 This simple activity is a great addition to a kindergarten student portfolio. Reproduce the pages for your students (back-to-back, if you choose) and have them write their names and draw their self-portraits in the first weeks of school. Save the papers until the end of the year and have them repeat the activity to see how far your kindergarteners have come! This can be used as an assessment tool (for handwriting, name writing, and motor skills) as well as a keepsake for parents. Please rate and leave a comment to let me know if this activity meets your needs. Thanks!